I figured that I am on a roll with all things coconut this week so why to stop now. 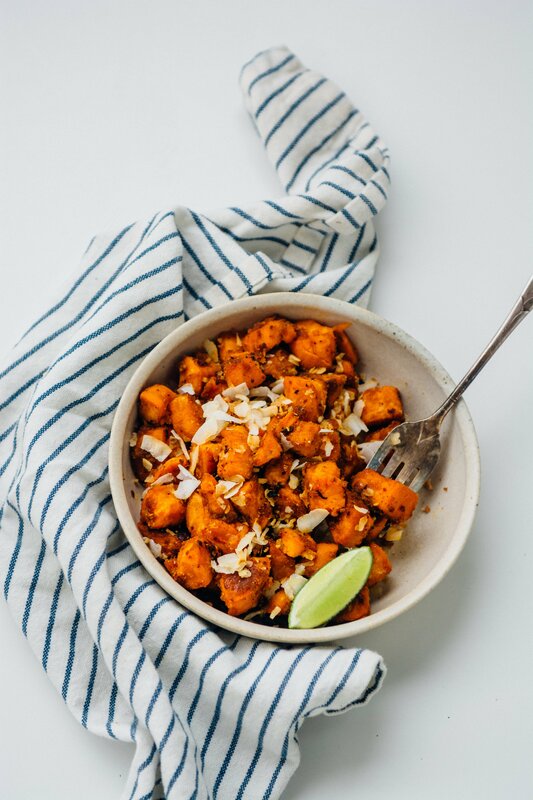 This Cuban-inspired roasted coconut oil sweet potato recipe was a huge success. 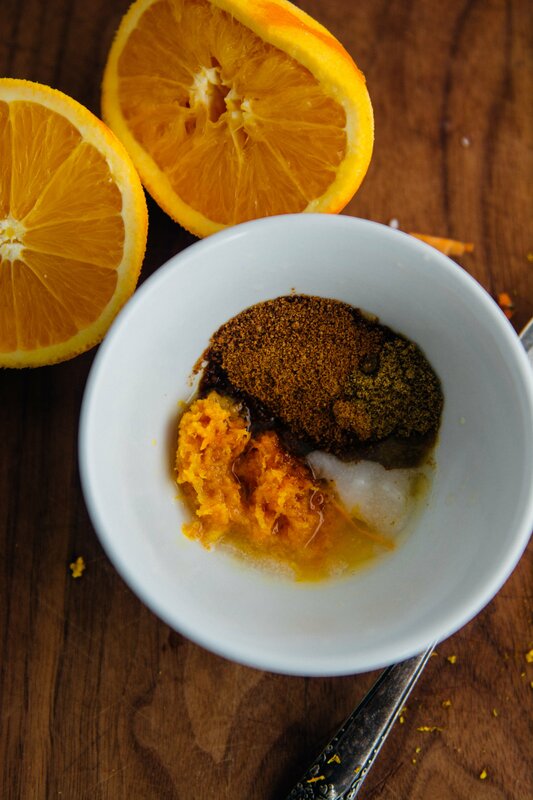 It’s an easy way to infuse a ton of flavor without a lot of effort. 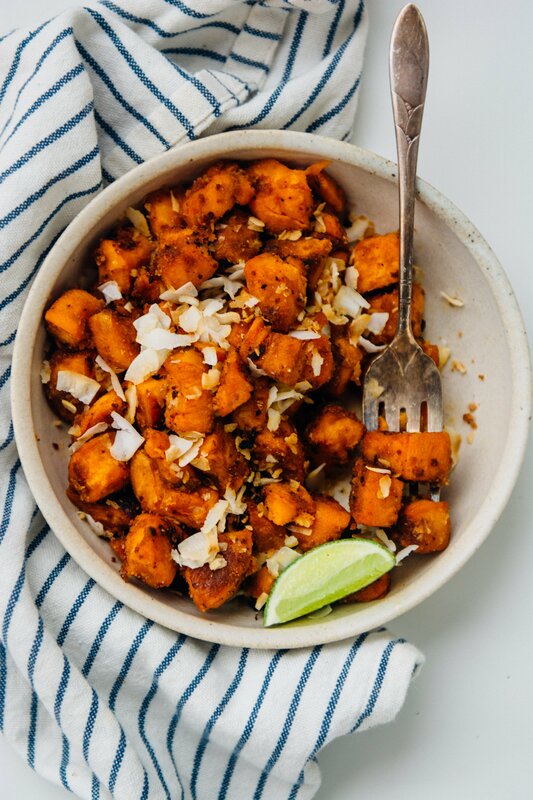 Coconut oil, coconut sugar, orange zest, cumin, and paprika get tossed with potatoes and roasted over high heat. They are delicious as a side dish but would make a great vegan bowl with some black beans, avocado, and cashew cream. 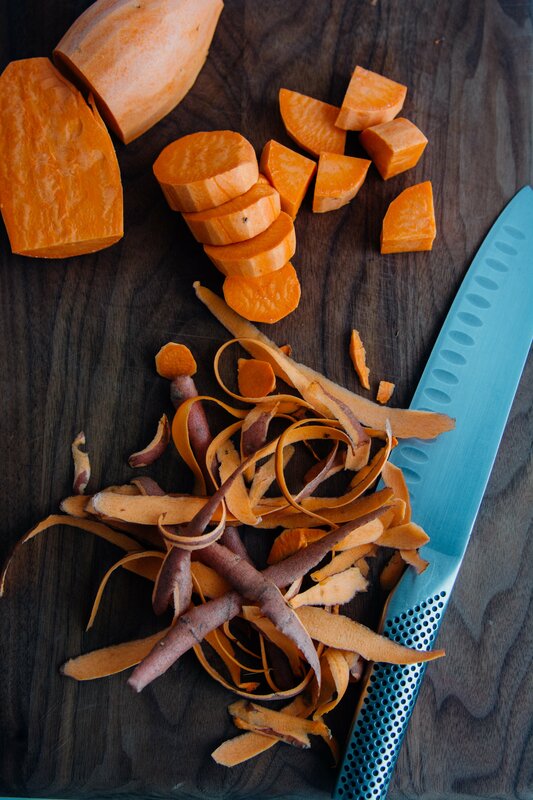 There was a time when I was roasting sweet potatoes every day of the week. We would top them with Ghee or chimichurri and eat them with roasted chicken. I have to admit I got a little sick of them when I was eating a more paleo based diet and had to take a break from them for a while. 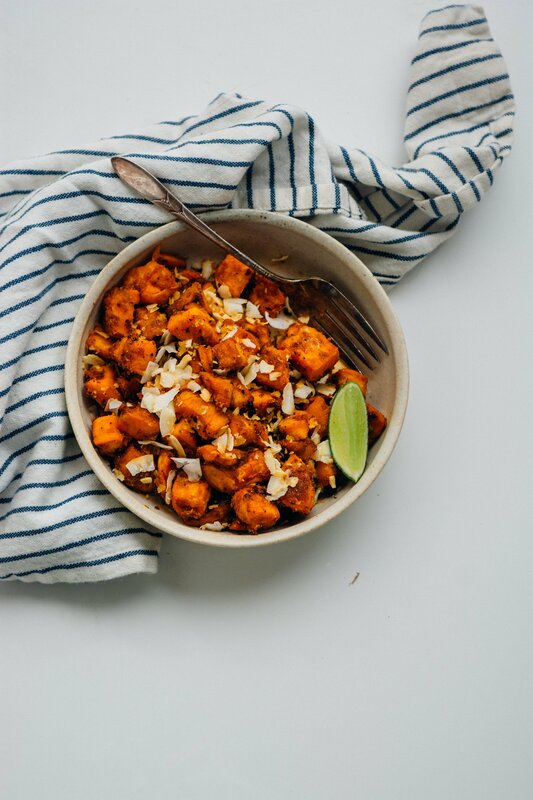 This recipe has reinvoked my love of them and I think I’ll be making them on a weekly basis. I’m headed to the movies by myself tonight, something I never would have done a few years ago. I guess it’s true that you get to a certain maturity point in your life when you aren’t as concerned about others opinion of you. I’m really excited, it’s a special screening of Tampopo, a cult classic spaghetti ramen western. Yes, that’s right it’s a movie about ramen and cowboys, how could it not be incredible? We are coming down to the wire of my January challenge and I hope you’ve enjoyed it as much as me! 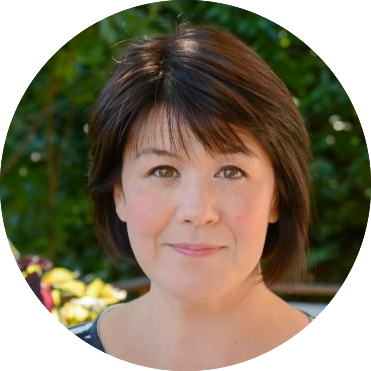 While I can’t promise a new recipe every single day moving forward I’m planning on posting frequently and would love to hear from you if there is anything special you’d like to see here! 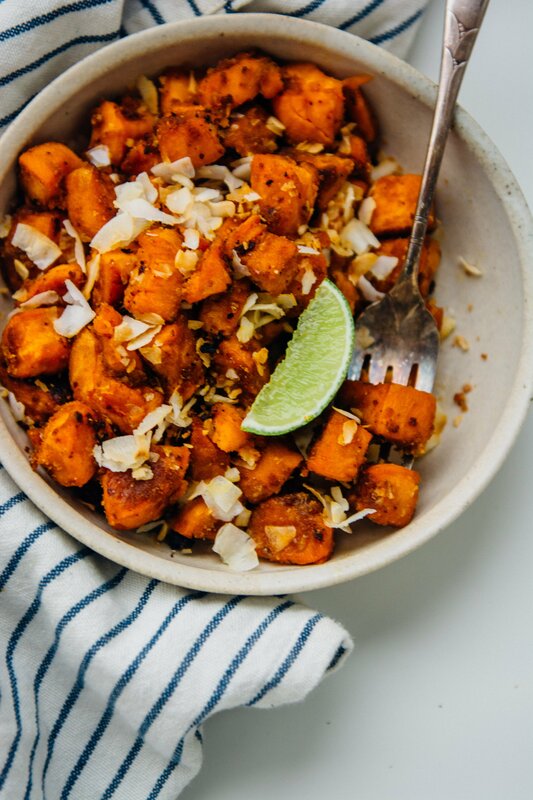 These Cuban-inspired coconut oil sweet potatoes are full of flavor and easy to prepare. 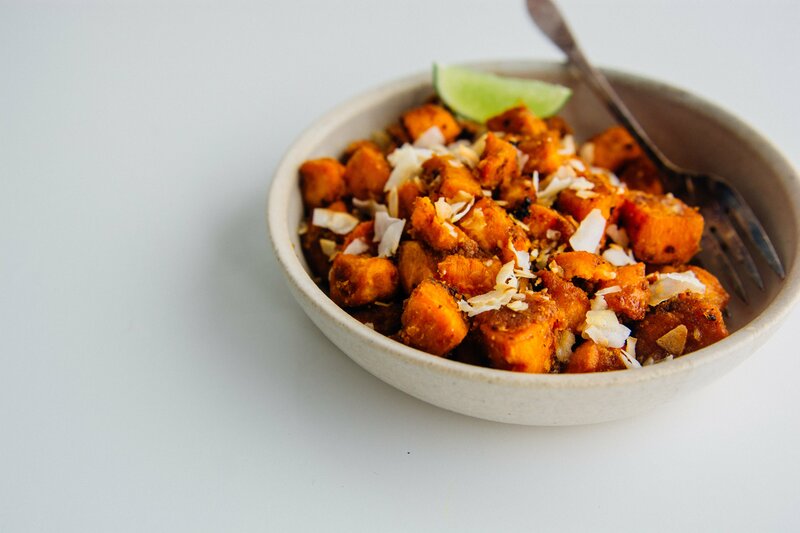 Topped with fresh orange juice and toasted coconut they are a great addition to your favorite grain bowl! 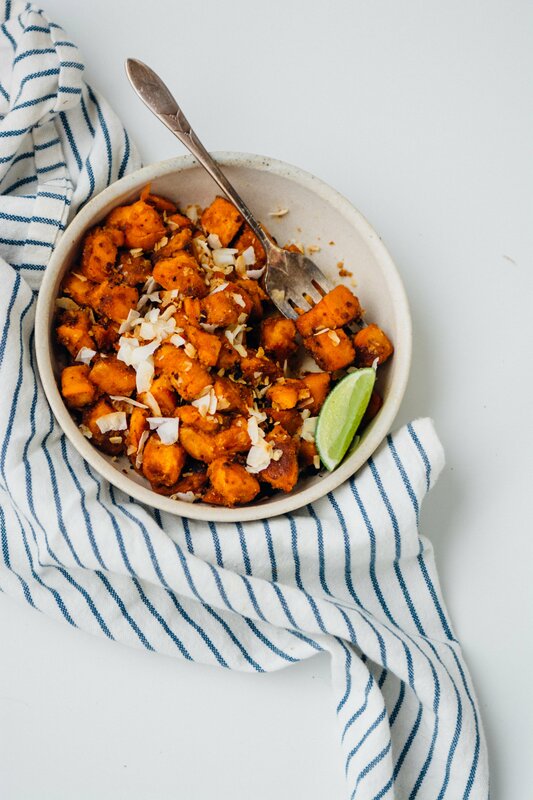 In a large bowl toss together the sweet potatoes, coconut oil, orange zest, coconut sugar, paprika, cumin and salt. Spread the potatoes in a single layer onto the prepared baking sheet and roast for 25-30 minutes until soft and caramelized. 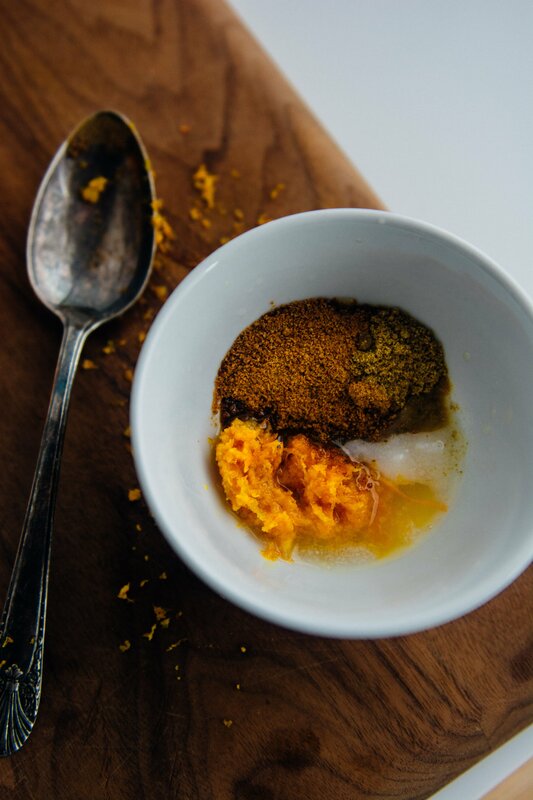 To serve spoon the orange juice over the top and sprinkle with toasted coconut.